Kategorie - Verbrauchsmaterialien. Marke - Epson. Kompatibel mit: expression premium xp-900, expression premium xp-630, expression premium XP-540, Expression Premium XP-635, expression premium xp-645, expression premium xp-830, Expression Premium XP-640, Expression Premium XP-530. Kompatibel mit: workforce pro wf-8590dwf series, workforce pro wf-8090 dw series, workforce pro wf-8590dwf, workforce pro wf-8590 dtwfc, workforce pro wf-8090 dtwc, workForce Pro WF-8090DW, workforce pro wf-8590d3twfc, WorkForce Pro WF-8590DTWF, workforce pro wf-8090 dtw, WorkForce Pro WF-8090 D3TWC. Tintenstrahl. Kartusche. Epson wf-8xxx series ink cartridge XL Cyan Ref - 945225. Original-Kartusche. Kategorie - Verbrauchsmaterialien. Original-Kartusche. Original-Kartusche. Ref - 945227. Marke - Epson. Epson wf-8xxx series ink cartridge XL Yellow Ref - 945225. Kompatibel mit: expression home xp-445, expression home xp-435, expression home xp-432, expression home xp-332, expression Home XP-245, Expression Home XP-345, expression home xp-247, expression home xp-342, Expression Home XP-335, Expression Home XP-442, Expression Home XP-235. Kompatibel mit: workforce pro wf-8590dwf series, workforce pro wf-8090 dtw, workforce pro wf-8590 dtwfc, workforce pro wf-8590dwf, workforce pro wf-8590d3twfc, WorkForce Pro WF-8090 DTWC, workforce pro wf-8090dw, workforce pro wf-8590dtwf, workForce Pro WF-8090 DW Series, WorkForce Pro WF-8090 D3TWC. Tintenstrahl. 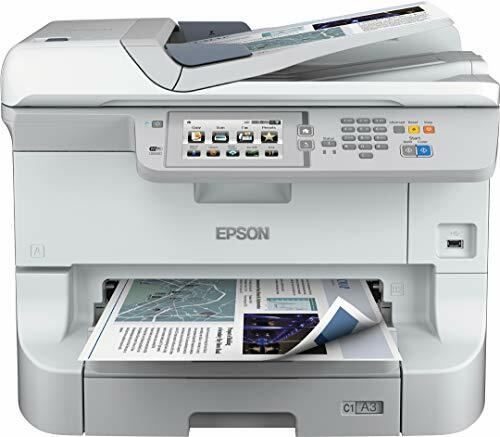 Marke - Epson. Kompatibel mit: expression premium xp-900, expression premium xp-630, expression premium xp-830, expression premium xp-645, Expression Premium XP-640, Expression Premium XP-635, Expression Premium XP-540, Expression Premium XP-530. Kompatibel mit: workforce pro wf-8590dwf series, workforce pro wf-8590d3twfc, workforce pro wf-8090 dw series, workforce pro wf-8090dw, workforce pro wf-8090 dtwc, workforce pro wf-8590dwf, workforce pro wf-8590 dtwfc, WorkForce Pro WF-8590DTWF, workforce pro wf-8090 dtw, WorkForce Pro WF-8090 D3TWC. Original-Kartusche. Kompatibel mit: expression home xp-445, expression home xp-432, expression home xp-345, expression home xp-335, expression home xp-442, expression home xp-247, Expression Home XP-332, Expression Home XP-435, Expression Home XP-342, expression home xp-245, Expression Home XP-235. Kompatibel mit: workforce pro wf-8590dwf series, workforce pro wf-8590dwf, workforce pro wf-8090 dw series, workforce pro wf-8590 dtwfc, workforce Pro WF-8590D3TWFC, workforce pro wf-8090 dtw, workforce pro wf-8090dw, workforce pro wf-8590dtwf, WorkForce Pro WF-8090 DTWC, WorkForce Pro WF-8090 D3TWC. Tintenstrahl. Kategorie - Verbrauchsmaterialien. Kategorie - Verbrauchsmaterialien. Marke - Epson. Kartusche. Epson wf-8xxx series ink cartridge XL Magenta Ref - 945225. Kategorie - Verbrauchsmaterialien. Ref - 945226. Ref - 945227. Original-Kartusche. Kompatibel mit: expression premium xp-900, expression premium xp-635, expression premium XP-540, expression premium xp-830, expression premium xp-645, expression Premium XP-630, Expression Premium XP-640, Expression Premium XP-530. Kompatibel mit: workforce pro wf-8590dwf series, workforce pro wf-8590d3twfc, workforce pro wf-8590dtwf, workforce pro wf-8590dwf, workforce pro wf-8590 dtwfc, WorkForce Pro WF-8090 DW Series, workforce pro wf-8090 dtwc, workforce pro wf-8090 dtw, workForce Pro WF-8090DW, WorkForce Pro WF-8090 D3TWC. Ref - 945226. Kartusche. Original-Kartusche. Ref - 945224. Kategorie - Verbrauchsmaterialien. Kompatibel mit: expression premium xp-900, expression premium xp-645, expression premium xp-830, Expression Premium XP-640, Expression Premium XP-635, expression Premium XP-630, Expression Premium XP-540, Expression Premium XP-530. Kompatibel mit: workforce pro wf-8590dwf series, workforce pro wf-8590 dtwfc, workforce pro wf-8590dwf, workforce pro wf-8090 dtwc, workforce pro wf-8590d3twfc, WorkForce Pro WF-8090 DW Series, workforce pro wf-8090 dtw, WorkForce Pro WF-8590DTWF, workForce Pro WF-8090DW, WorkForce Pro WF-8090 D3TWC. Tintenstrahl. Kompatibel mit: expression premium xp-900, expression premium xp-540, expression premium xp-830, expression Premium XP-645, Expression Premium XP-640, expression premium xp-635, Expression Premium XP-630, Expression Premium XP-530. Kompatibel mit: workforce pro wf-8590dwf series, workforce pro wf-8090 dw series, workforce pro wf-8590 dtwfc, workforce pro wf-8090 dtw, workforce pro wf-8090 DTWC, workforce pro wf-8590dtwf, workforce pro wf-8090 d3twc, workForce Pro WF-8590D3TWFC, workforce pro wf-8590dwf, WorkForce Pro WF-8090DW, workforce pro wf-8510dwf, WorkForce Pro WF-8010DW. Marke - Epson. Kartusche. Kategorie - Verbrauchsmaterialien. Original-Kartusche. Ref - 945226. Kategorie - Verbrauchsmaterialien. Kompatibel mit: expression home xp-445, expression home xp-335, expression home xp-247, expression home xp-442, expression Home XP-342, Expression Home XP-432, Expression Home XP-332, Expression Home XP-435, expression home xp-245, expression home xp-345, Expression Home XP-235. Kompatibel mit: workforce pro wf-8590dwf series, workforce pro wf-8590d3twfc, workforce pro wf-8090 dtw, workforce pro wf-8090dw, workforce Pro WF-8090 DW Series, WorkForce Pro WF-8090 DTWC, workforce pro wf-8590 dtwfc, workforce pro wf-8590dwf, workforce pro wf-8590dtwf, WorkForce Pro WF-8090 D3TWC. Tintenstrahl. Kartusche. Kategorie - Verbrauchsmaterialien. Kartusche. 500 sheets cassette for wf-8000/8500 Ref - 945225. Kategorie - Verbrauchsmaterialien. Kompatibel mit: expression home xp-445, expression home xp-345, expression home xp-342, expression home xp-335, expression Home XP-245, expression home xp-432, Expression Home XP-332, expression home xp-247, Expression Home XP-442, expression home xp-435, Expression Home XP-235. Kompatibel mit: workforce pro wf-8590dwf series, workforce pro wf-8090 dw series, workforce pro wf-8090 dtw, workforce pro wf-8090 dtwc, workforce pro wf-8590 dtwfc, workforce pro wf-8090dw, workforce pro wf-8590dtwf, WorkForce Pro WF-8590DWF, workforce pro wf-8590d3twfc, WorkForce Pro WF-8090 D3TWC. Kompatibel mit: expression premium xp-900, expression premium xp-635, expression premium XP-640, expression Premium XP-645, Expression Premium XP-540, Expression Premium XP-630, expression premium xp-830, Expression Premium XP-530. Kompatibel mit: workforce pro wf-8590dwf series, workforce pro wf-8590dwf, workforce pro wf-8090 dw series, workforce pro wf-8590 dtwfc, workforce pro wf-8510dwf, WorkForce Pro WF-8090DW, workforce pro wf-8090 d3twc, WorkForce Pro WF-8090 DTW, workforce pro wf-8590dtwf, WorkForce Pro WF-8090 DTWC, workForce Pro WF-8590D3TWFC, WorkForce Pro WF-8010DW. C12c817061. Marke - Epson. Original-Kartusche. Kategorie - Verbrauchsmaterialien. Marke - Epson. Ref - 945226. Marke - Epson. Kompatibel mit: expression premium xp-900, expression premium xp-540, expression premium xp-830, expression Premium XP-630, Expression Premium XP-640, Expression Premium XP-635, expression premium xp-645, Expression Premium XP-530. Kompatibel mit: workforce pro wf-8590dwf series, workforce pro wf-8090 dtw, workforce pro wf-8590 dtwfc, workforce pro wf-8590dwf, workForce Pro WF-8590DTWF, WorkForce Pro WF-8090 DW Series, workforce pro wf-8090 dtwc, workForce Pro WF-8090DW, workforce pro wf-8590d3twfc, WorkForce Pro WF-8090 D3TWC. Tintenstrahl. Kompatibel mit: expression home xp-445, expression home xp-342, expression home xp-435, expression home xp-247, expression Home XP-335, expression home xp-345, Expression Home XP-332, expression home xp-442, Expression Home XP-432, expression home xp-245, Expression Home XP-235. Ref - 945227. Marke - Epson. Kategorie - Technologie. Ref - 945226. Kategorie - Verbrauchsmaterialien. Inhalt: 41, 8ml, für modell: workforce pro wf-5110dw / wf-5690dwf / wf-5620dwf / wf-4630dwf / wf-5690 dwf / wf-5190dw / WF-4640DTWF Ref - 945225. Kompatibel mit: expression home xp-445, expression home xp-345, expression home xp-335, expression home xp-342, expression home xp-245, expression home xp-247, Expression Home XP-332, Expression Home XP-432, expression home xp-442, Expression Home XP-435, Expression Home XP-235. Kompatibel mit: workforce pro wf-8590dwf series, workforce pro wf-8590d3twfc, workforce pro wf-8590dtwf, workforce pro wf-8090dw, workforce Pro WF-8090 DW Series, workforce pro wf-8590 dtwfc, workforce pro wf-8090 dtw, workforce pro wf-8590dwf, WorkForce Pro WF-8090 DTWC, WorkForce Pro WF-8090 D3TWC. Tintenstrahl. Ref - 945224. Marke - Epson. Kompatibel mit: expression home xp-445, expression home xp-245, expression home xp-342, expression home xp-332, expression Home XP-335, expression home xp-432, expression home xp-435, Expression Home XP-345, Expression Home XP-442, expression home xp-247, Expression Home XP-235. Kompatibel mit: workforce pro wf-8590dwf series, workforce pro wf-8590dtwf, workforce pro wf-8090 dtw, workforce pro wf-8590dwf, workforce pro wf-8590d3twfc, workForce Pro WF-8090 DW Series, workforce pro wf-8590 dtwfc, workforce pro wf-8090dw, WorkForce Pro WF-8090 DTWC, WorkForce Pro WF-8090 D3TWC. Tintenstrahl. Kompatibel mit: expression premium xp-900, expression premium xp-645, expression premium xp-830, expression premium xp-635, Expression Premium XP-630, Expression Premium XP-640, Expression Premium XP-540, Expression Premium XP-530. Marke - Epson. Kompatibel mit: expression home xp-445, expression home xp-435, expression home xp-345, expression home xp-245, expression home xp-432, Expression Home XP-332, Expression Home XP-335, Expression Home XP-442, expression home xp-247, expression home xp-342, Expression Home XP-235. Kompatibel mit: workforce pro wf-8590dwf series, workforce pro wf-8090 dtwc, workforce pro wf-8590dwf, workforce pro wf-8090dw, workforce pro wf-8590d3twfc, workforce pro wf-8590 dtwfc, workforce pro wf-8090 dtw, workforce pro wf-8590dtwf, workForce Pro WF-8090 DW Series, WorkForce Pro WF-8090 D3TWC. Tintenstrahl. Kategorie - Technologie. Kompatibel mit: expression home xp-445, expression home xp-342, expression home xp-345, expression home xp-332, expression home xp-247, expression home xp-442, Expression Home XP-335, expression home xp-245, Expression Home XP-432, Expression Home XP-435, Expression Home XP-235. Kompatibel mit: workforce pro wf-8590dwf series, workforce pro wf-8590 dtwfc, workforce pro wf-8590d3twfc, workforce pro wf-8590dtwf, workforce pro wf-8590dwf, workforce pro wf-8090dw, WorkForce Pro WF-8090 DTWC, workforce pro wf-8090 dtw, WorkForce Pro WF-8090 DW Series, WorkForce Pro WF-8090 D3TWC. Tintenstrahl. Kompatibel mit: expression premium xp-900, expression premium xp-635, expression premium XP-540, expression Premium XP-645, expression premium xp-830, Expression Premium XP-640, Expression Premium XP-630, Expression Premium XP-530. Kompatibel mit: workforce pro wf-8590dwf series, workforce pro wf-8590dtwf, workforce pro wf-8090 dw series, workforce pro wf-8590 dtwfc, workforce pro wf-8090 DTW, workforce pro wf-8590dwf, workforce pro wf-8090 d3twc, WorkForce Pro WF-8090 DTWC, WorkForce Pro WF-8090DW, workForce Pro WF-8590D3TWFC, workforce pro wf-8510dwf, WorkForce Pro WF-8010DW. Marke - Epson. Topologie: Sterntopologie. Kompatibel mit: expression premium xp-900, expression premium xp-630, expression premium XP-540, Expression Premium XP-640, expression Premium XP-645, expression premium xp-830, expression premium xp-635, Expression Premium XP-530. Kompatibel mit: workforce pro wf-8590dwf series, workforce pro wf-8590 dtwfc, workforce pro wf-8090 dtwc, workforce pro wf-8090dw, workforce pro wf-8090 dw series, workforce pro wf-8510dwf, workforce pro wf-8590dwf, WorkForce Pro WF-8090 DTW, workForce Pro WF-8590D3TWFC, workforce pro wf-8090 d3twc, workforce pro wf-8590dtwf, WorkForce Pro WF-8010DW. C12c817061. Kompatibel mit: expression home xp-445, expression home xp-332, expression home xp-245, expression home xp-442, expression Home XP-345, expression home xp-342, expression home xp-435, expression home xp-247, Expression Home XP-335, expression home xp-432, Expression Home XP-235. Kompatibel mit: workforce pro wf-8590dwf series, workforce pro wf-8090 dw series, workforce pro wf-8590dwf, workforce pro wf-8090dw, workforce pro wf-8590d3twfc, WorkForce Pro WF-8090 DTWC, workforce pro wf-8590dtwf, workforce pro wf-8090 dtw, workforce pro wf-8590 dtwfc, WorkForce Pro WF-8090 D3TWC. Tintenstrahl. Original-Kartusche. Ref - 945224. Ref - 945226. Kategorie - Verbrauchsmaterialien. Original-Kartusche. Kompatibel mit: expression premium xp-900, expression premium xp-830, expression premium XP-630, Expression Premium XP-635, expression premium xp-645, Expression Premium XP-640, Expression Premium XP-540, Expression Premium XP-530. Kompatibel mit: workforce pro wf-8590dwf series, workforce pro wf-8590dtwf, workforce pro wf-8590d3twfc, workforce pro wf-8590 dtwfc, workforce pro wf-8090 dtwc, workForce Pro WF-8090DW, workforce pro wf-8590dwf, WorkForce Pro WF-8090 DW Series, workforce pro wf-8090 dtw, WorkForce Pro WF-8090 D3TWC. Tintenstrahl. Kartusche. Original-Kartusche. Kompatibel mit: expression home xp-445, expression home xp-245, expression home xp-247, expression home xp-342, expression Home XP-335, Expression Home XP-435, expression home xp-345, expression home xp-442, Expression Home XP-432, Expression Home XP-332, Expression Home XP-235. Kompatibel mit: workforce pro wf-8590dwf series, workforce pro wf-8090dw, workforce pro wf-8090 dtwc, workforce pro wf-8090 dw series, workforce pro wf-8090 dtw, workforce pro wf-8590dtwf, workforce pro wf-8590dwf, workforce Pro WF-8590D3TWFC, workforce pro wf-8590 dtwfc, WorkForce Pro WF-8090 D3TWC. Tintenstrahl. Kompatibel mit: expression premium xp-900, expression premium xp-640, expression premium XP-645, expression premium xp-635, Expression Premium XP-630, Expression Premium XP-540, expression premium xp-830, Expression Premium XP-530. Kompatibel mit: workforce pro wf-8590dwf series, workforce pro wf-8090 d3twc, workforce pro wf-8510dwf, workforce pro wf-8590dtwf, workforce pro wf-8090 dtwc, workForce Pro WF-8090 DTW, workforce pro wf-8590 dtwfc, workforce pro wf-8090 dw series, workForce Pro WF-8590D3TWFC, WorkForce Pro WF-8090DW, workforce pro wf-8590dwf, WorkForce Pro WF-8010DW.